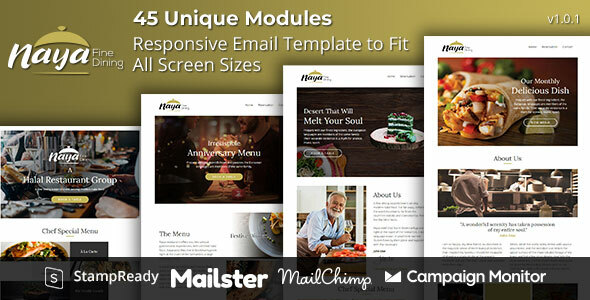 NAYA Email template will make your campaign look elegant and professional. The template is coded with a responsive design which means it will look great no matter what device the user is using to you view it. The email will scale and change the layout itself depends on the screen size. This makes NAYA readable to mobile devices, tablets, and desktops.